Fifth Suspect Arrested in Connection with Kimberlin Murder, LIVINGSTON, March 10, 2010 - According to the Livingston Police Department, a fifth suspect has been arrested in connection with the August 21, 2009 murder of Billy Ray Kimberlin, Jr. On February 17, 2010, Officers with the Houston Police Department arrested Anthony Joshua Poledore, 18, of Houston on a traffic stop in Harris County. Poledore was later picked up from Houston to Deputies with the Polk County Sheriff's Office. 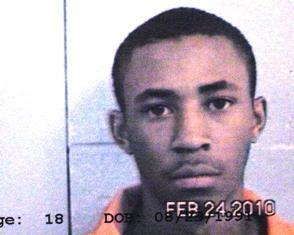 Poledore was transported to Livingston and booked into Polk County Jail and charged with capital murder.